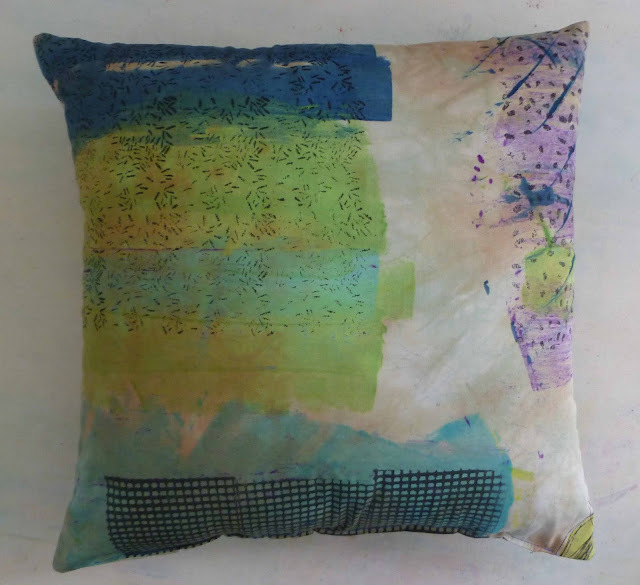 These are the last 2 pillows ( front and back) They have a bit of a story behind them. 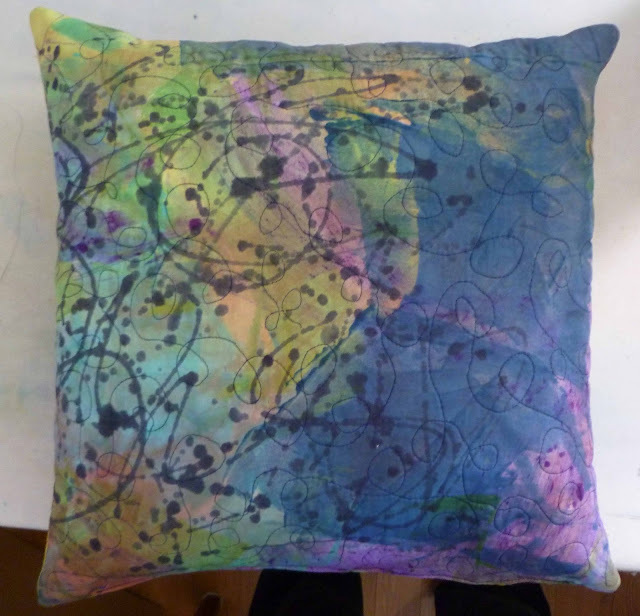 This first pillow was made from a piece of fabric that started as white then I squirted liquid black dye in a graffiti type style. 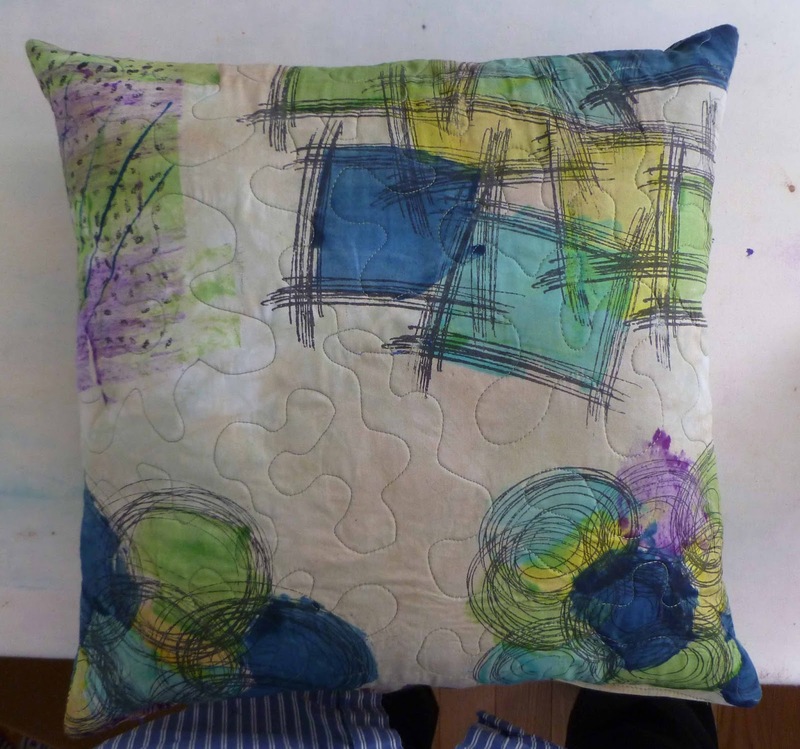 Both of these pillows were just pieces of fabric I was playing with, not made for any purpose but to make lines on white. Well, the black on white was boring and stark so I decided to try to dye them an off white; give them a tea stained look. They ended up a hideous khaki beige color, all mottled an dull. On another occasion I had some thickened dye. I can't remember whether I made it intentionally to use on this fabric or it was just left over. 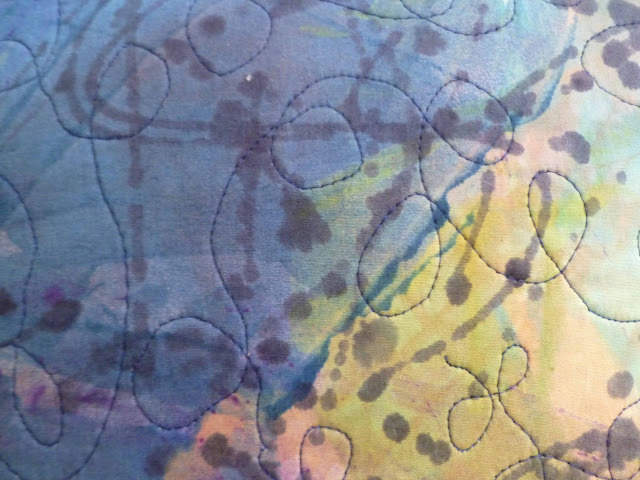 At any rate, I decided to "tart" up the fabric with color. These ended up being some of my favorite fabrics. I have quite a few more half yards of various designs. 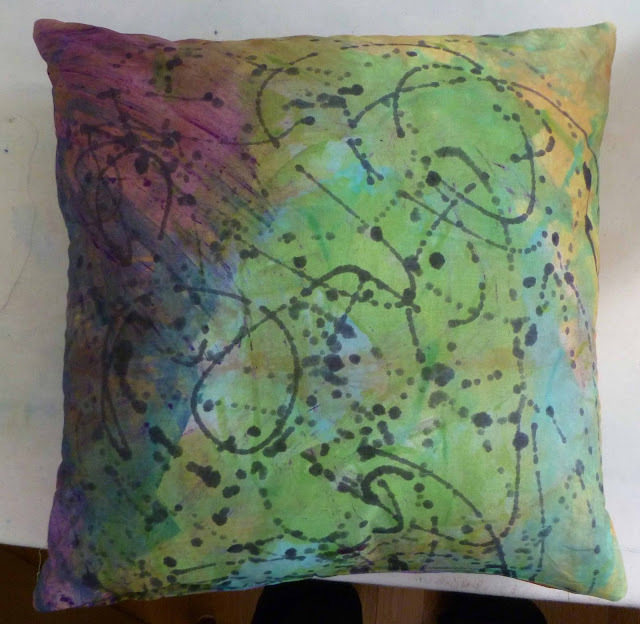 You can really see that hideous khaki/beige color on this pillow but being offset by the fine black thermofax lines and punches of color really makes it come alive. Do you remember these former black and white experiments? What fun! Yes, I remember the line exercises... love what the addition of color does to them! They are absolutely gorgeous. It's easy to see why they became some of your favourite fabrics.